I haven’t been writing in awhile. I have been sick which really pissed me off at the time because I never get what I call “sick’. I get weird conditions like Bell’s Palsy and Dupuytren’s contracture. I get things attributed to aging like high blood pressure and osteopenia. I trip in potholes and break bones in my feet. I avoid certain foods because I can’t handle them and on rare occasions I’ll get a stomach virus which I’ve decided after watching TV shows like Bar Rescue is more likely food poisoning. But I have not had a cold in over 5 years and the last time I had the flu I was in my 20s. So when I first found out I might have pneumonia I was really shocked. By the time it was confirmed I was grateful. I was exhausted. My throat was sore, my head hurt and I felt clammy. I was really cranky but I couldn’t even complain because I had completely lost my voice. But I really wasn’t coughing much. 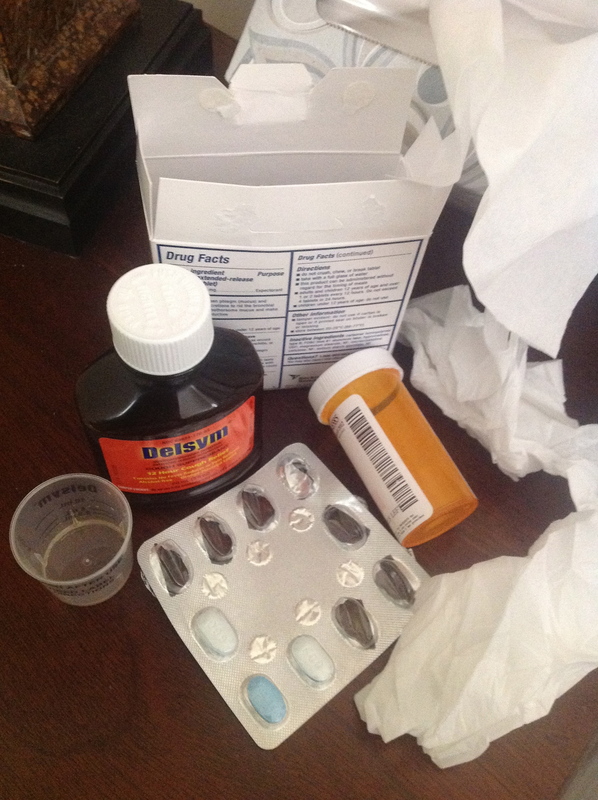 So I figured I had a summer cold. I was “sick” like normal people. But when I went back into the gym after two weeks I felt like I had never worked out in my life. I had to take a nap when I finished. When I tried to return to Zumba I experienced chest pains and had to shamefully slink out of class before it was over. I thought I should have recovered. Something wasn’t right and my worry meter started to register. Fortunately, I had a physical scheduled so I chugged on down to my doctor’s office (OK, I confess I sped down the freeway going for a new record but hey, this is California). I figured if there was something bad going on he’d find it. I was given all kinds of tests in exchange for giving all kinds of fluids. I was scrutinized and poked and prodded. I was scanned visually for skin cancers and digitally for bone density. By the time I got back home there was a message on my answering machine from my doctor telling me that my chest X-ray showed a spot on my upper right lung, where he casually added, you don’t often see pneumonia. He said that he was a little concerned and wanted me to go have a CT scan. I was not so casual about the whole thing nor only a” little” concerned. I was convinced I had lung cancer and was going to die. Cause, remember, I don’t get the usual kind of sick. And my mother died of lung cancer. And I smoked in my 20s and grew up in a house with parents who puffed away. And I had been having some pain in my shoulder and Dr. Oz said on TV that could be a sign of lung cancer from a tumor pressing on a nerve. And I tend to be what you might call a catastrophizer. This was more frightening for me than my trip a few years back to the breast surgeon for a lump. I was used to lumps and no one in my family had ever had breast cancer. That time I only thought I might be dying. This time I was sure. I am thrilled to say, it was only pneumonia.So I dodged another bullet. Life does at times feel like a game of Russian roulette which at some point you’re going to lose. But I plan on living another 20 or 30 years and I’m going make them good ones. Anxiety does offer insights. Glad it was nothing too serious 🙂 You are an excellent writer, by the way. Glad you are feeling better!! I’m laughing as I read this because I have also diagnosed myself with something different on a daily basis this week. Today I think its just a cold. Ha! Diagnosing yourself? Call me if you need a second opinion. ok, me too! a virus but that came and went … now I am just left with a brick on my chest. ha! Steroids yay!! and an inhaler.. summer “colds” are grand in the overall scheme of things.. Loving the picture of you and of course “mom”…. Take care. Hope you get back on top. I get headaches occasionally. My second wife was always convinced she had a brain tumor, a headache was just too pedestrian. Growing up, I was never allowed to be sick. I had to have at least a broken bone ( and if it wasn’t showing, I was probably faking) to stay home from school. Marrying a hypochondriac was an adventure to say the least…..
Philis, when is that picture of you from? 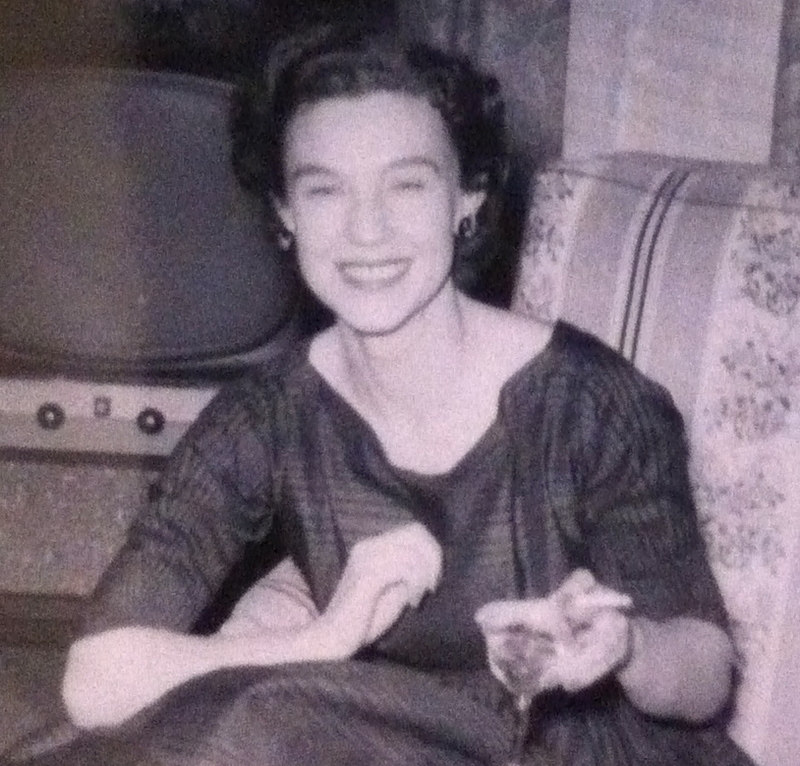 Looking at your Mom’s picture, the TV in the background reminded me of what it was like growing up. What did we have back then, 2 or 3 channels? I’m sure they went off the air at midnight or earlier. I had cousins on Long Island who got 6 or 7 channels from New York City, and that was a big deal! Now days, even basic cable offers hundreds of channels, yet there are times when I scroll through the guide and decide there’s nothing good on. 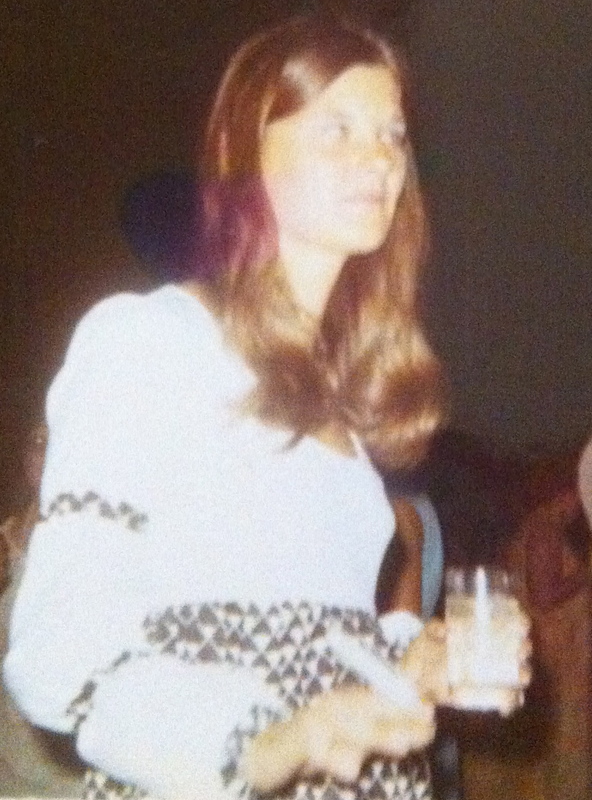 The picture of me was taken in college… Mabe 1970 or 71. I remember the old TVs as well. That was not our living room though. I don’t know where my mother was in that picture. We usually had a coat hanger hanging from our TV to act as an antenna. Ha! Ha! Cigarette baby girl… it was a school function at your Dad’s college.